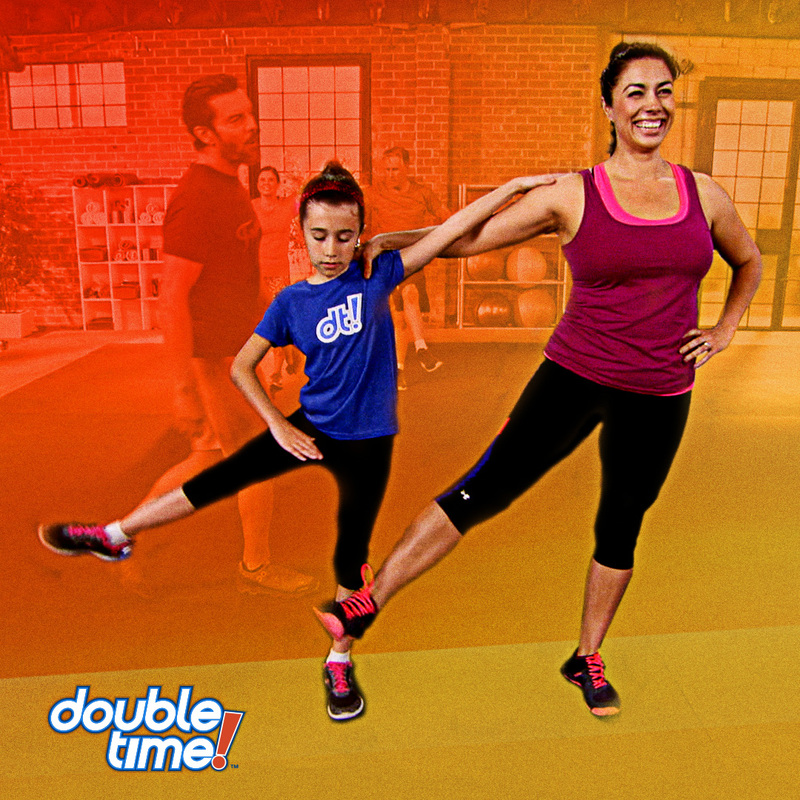 Get content you can customize and share with your Double Time™ Challenge Groups. Create a Challenge Group in the My Challenge Tracker Coach Portal, and invite your participants to download the My Challenge Tracker App. Alternatively, you can set up a private Facebook® group. 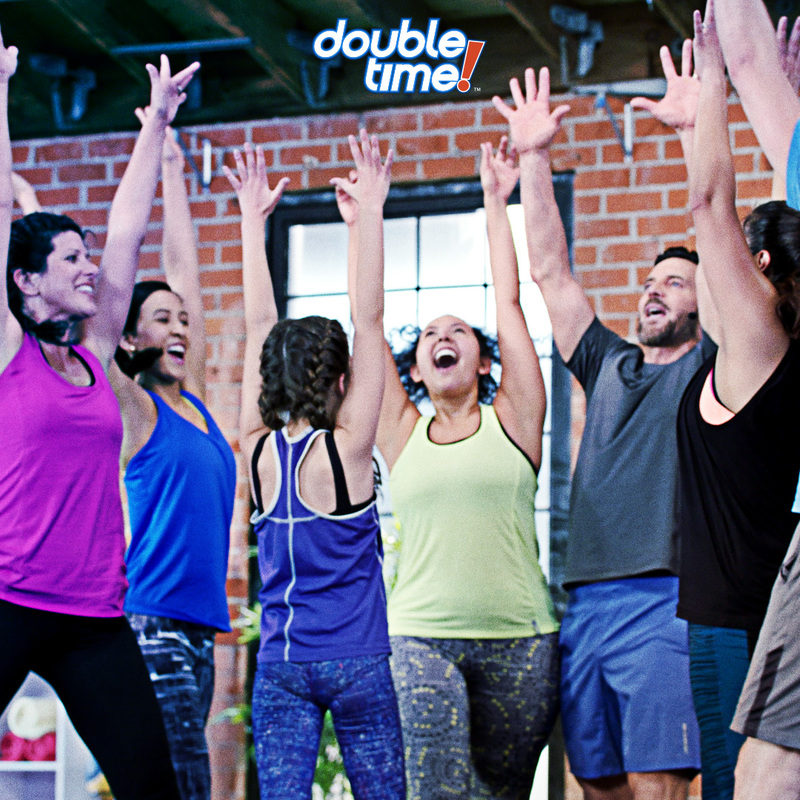 Review the Product Training Guide for everything you need to know about Double Time. Post Week 0 topics to your group's feed. Use My Challenge Tracker. My Challenge Tracker was designed to help you run your Challenge Groups and get your customers the best results possible. Using the app, your participants can track their workouts, Shakeology, weight, measurements and progress photos, while interacting with one another in a closed forum. Simultaneously, with the Coach Portal, you can gain insights into your participants’ daily activities to help keep everyone accountable. Kick off with a group meeting and set expectations. Whether in person, via Zoom or over the phone, holding an initial group meeting is a great way to set clear expectations that can define a rewarding experience for your participants. It also creates a team culture where participants can feel a sense of belonging and gain encouragement from others. Walk them through the My Challenge Tracker app, showing them how to track their activity and engage within the group. Tell them what they need to do to be successful (i.e., check in daily, drink Shakeology, set realistic short-term and long-term goals, etc.). Share how you and others in the group will support them along the way. Share the Team Beachbody meal prep guides. These guides are tailored to different calorie needs and make meal prep simple, providing grocery lists and step-by-step instructions for planning breakfasts, lunches, dinners and snacks — one week at a time. Lead by example with our #1 Vital Behavior, be proof the products work. Track your activity and share your experiences daily, so your participants can replicate actions that will help them succeed. Connect and check in with participants constantly. Hold a weekly zoom call for your challengers to ask questions and share successes and challenges to increase group engagement and morale. Additionally, if you notice someone hasn’t been logging their activity, reach out to them individually to make sure everything is okay and encourage them to get back on track. They’ll be more likely to stick with the challenge if they know someone is holding them accountable. Surprise your participants; throw down a challenge. Whether it’s a day where everyone completes 10 push-ups, shares their favorite meal photo and recipe, or does the most squats in a minute, small prizes or contests can help keep your participants engaged and motivated. Recognize, Recognize, Recognize! Another Coach vital behavior, it’s key to recognize the positive changes and healthier lifestyle choices people make, no matter how small. Recognition keeps challengers engaged and motivated. Consider designating a day of the week to highlight someone’s success, or, better yet, do it daily. Encourage participants to submit their results to the Beachbody Challenge contest. Everyone loves free stuff. Make sure your participants enter the contest once they complete their challenge to get rewarded with a free completion prize, and a chance to win some cash. Continue with the momentum even after your Challenge Group ends. Check out these tips for effectively wrapping up your Challenge Groups and getting your participants to join your next challenge – or transition to become a Coach. For more product links, visit the Coach Link Generator. Select the content topics you'd like to view and then click "Filter." 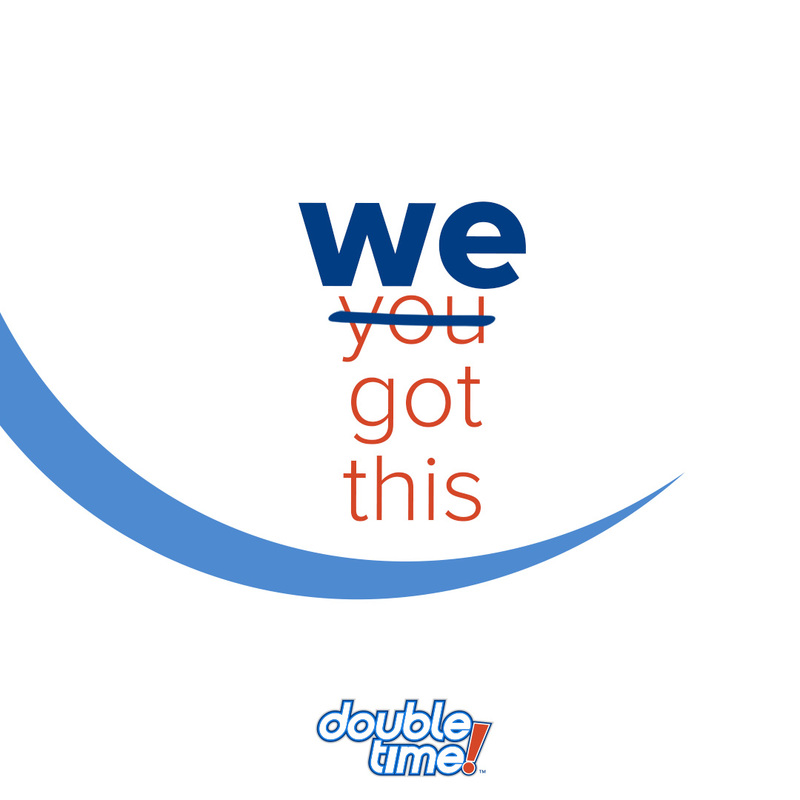 Welcome to our Double Time Challenge Group! You’re about to embark on a very special journey with not only myself and your fellow challengers, but also your workout partner! 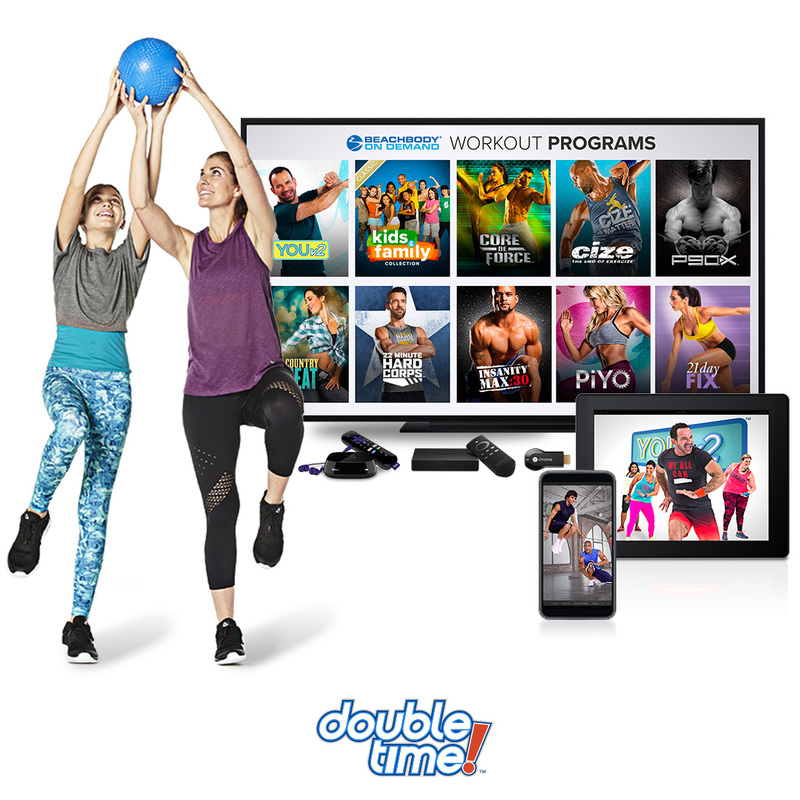 Double Time is Beachbody’s first partner workout program. No matter who you’re working out with be sure to keep each other motivated, encourage one another to stick with your new healthy habits, and most importantly—have fun! I’ll be here for you every step of the way and so will this group. Together, we’ll help each other answer questions, trade tips, and share our experiences and challenges along the way. What’s your relationship with your workout partner? Why are you committing to this challenge? Have you ever worked out with your partner? If so, when was the last time? How can we best support you to reach your goals? Now here's a special message from Tony Horton himself! Coach Tip: You can share this video via a YouTube link—https://youtu.be/sdWFvTIvtcE—or directly from the Coach Office—https://coach.teambeachbody.com/double-time-challenge-group-guide-videos. 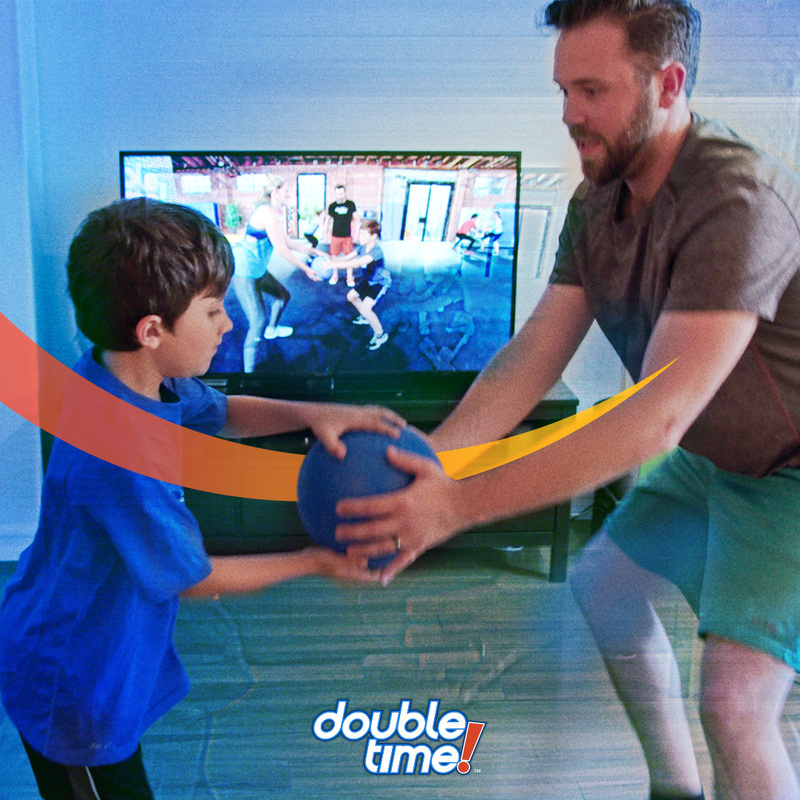 There is also a kid-friendly version of this video with Tony and Christian, who is featured in some of the Double Time workouts. Share via a YouTube link—https://youtu.be/PK4dlYkdSfI—or from the Coach Office—https://coach.teambeachbody.com/double-time-challenge-group-guide-videos. 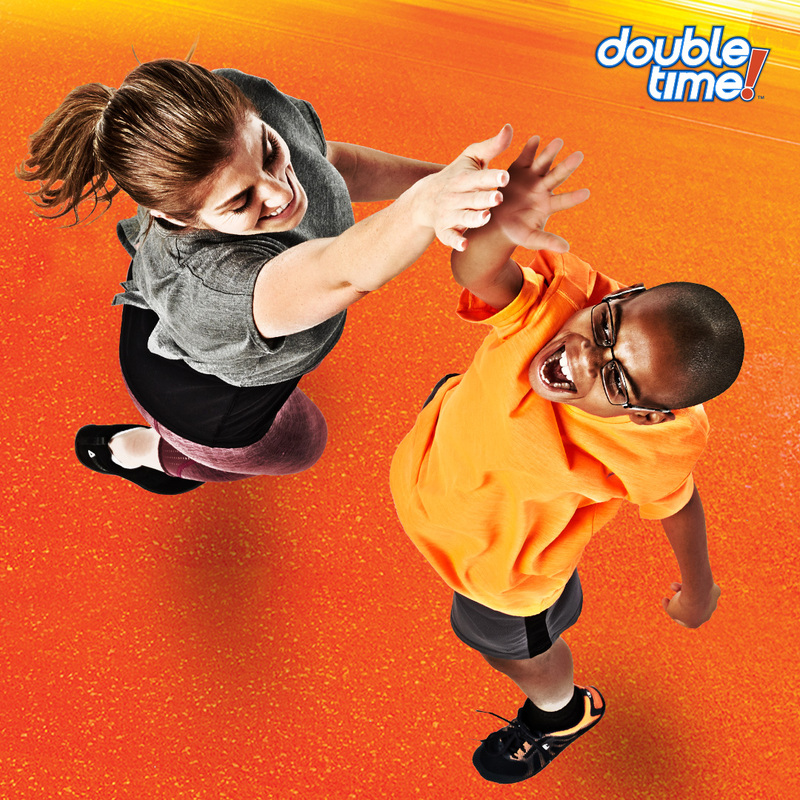 If your partner is between the ages of 8–16, be sure to check out the Kids Calendar on the Double Time Program Materials page. 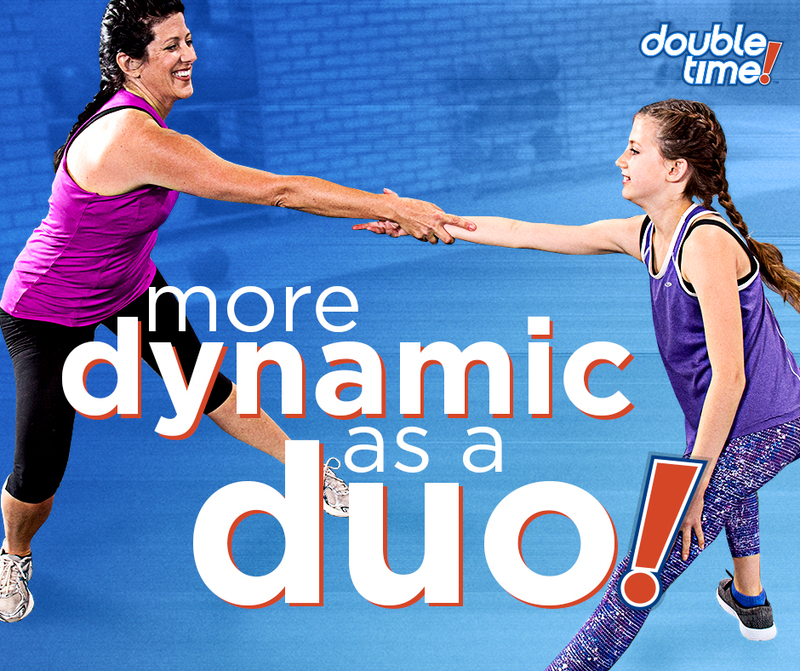 It will help make Double Time doubly rewarding for you and your kid. You can even help them earn a FREE T-shirt once they’ve completed the Kids Calendar! The only thing you and your partner need to complete these workouts is a ball! While you can use any ball, like a volleyball or playground ball, I highly recommend the Beachbody Buddy Ball. It’s included with every Double Time kit and Challenge Pack. 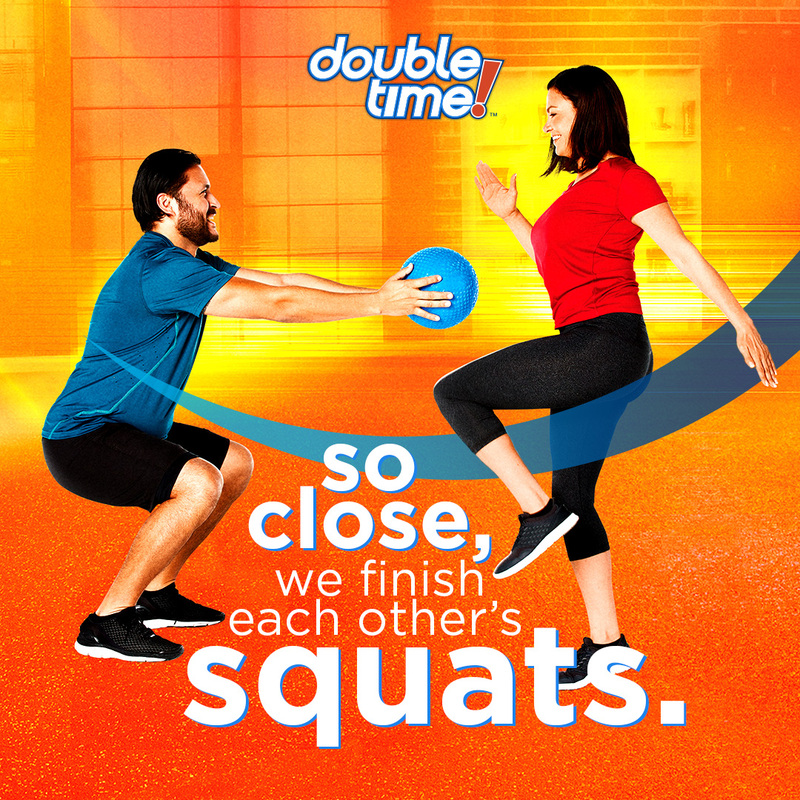 Since you’ll be rolling, tossing, and passing the ball with your partner during each workout, make sure you designate an area with enough space to comfortably do the exercises—at least an 8x8 space. FYI, if you have Beachbody On Demand, you don’t have to limit yourself to your home. I download the workouts ahead of time and play them offline in places without Wi-Fi, like my backyard or even on my lunch break at work! It’s all about good nutrition! 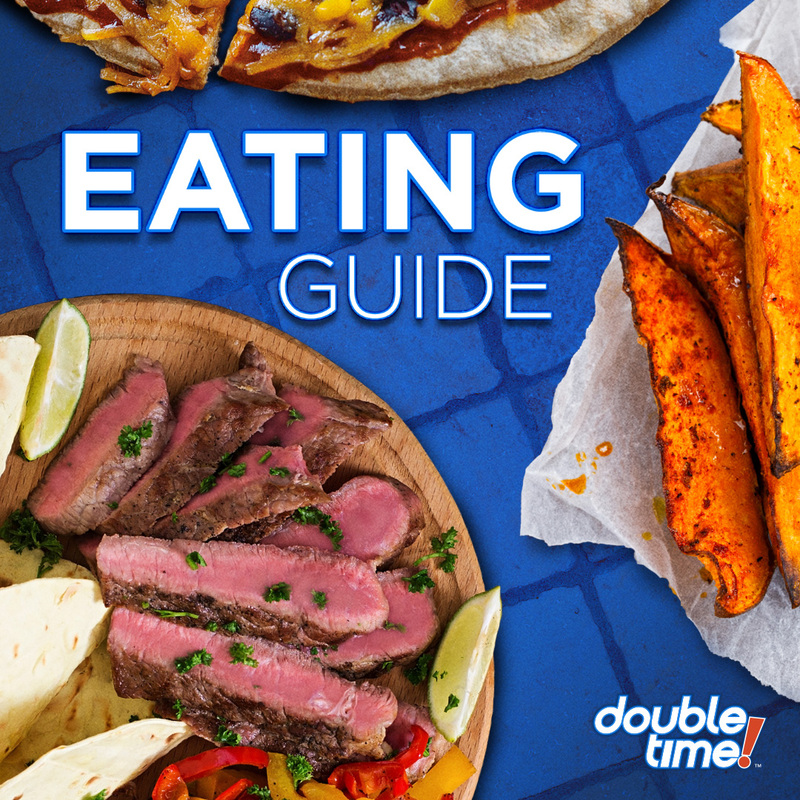 Take some time to check out your Double Time Eating Guide before we start the program. 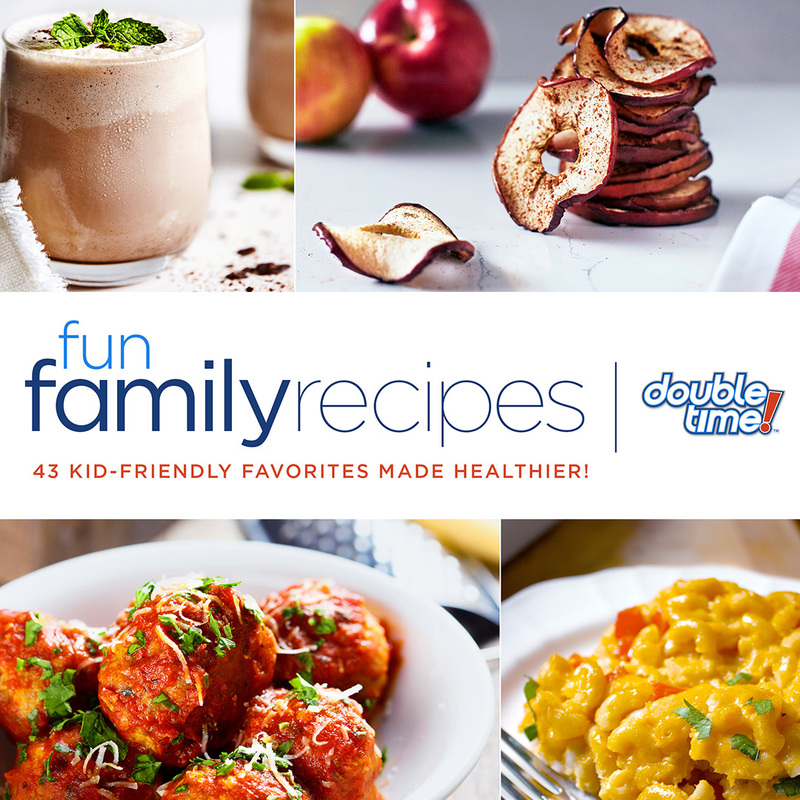 Over the first few pages, you’ll find simple tips that can help the whole family eat better and a bunch of recipes to help you and your partner get started. There’s also a ton of yummy, family-friendly recipes featured on FIXATE, a healthy cooking show available on Beachbody On Demand. Best of all, they’re Eating Guide-approved! I suggest you review and bookmark your favorite recipes ahead of time, and then grocery shop for the necessary ingredients—so you’ll be ready to go on Day 1. Coach Tip: Share your favorite recipe. For example: I love the Strawberry Banana Yogurt Parfait. It’s made of [list ingredients]. Now as amazing as Shakeology is, it’s formulated with adults in mind. 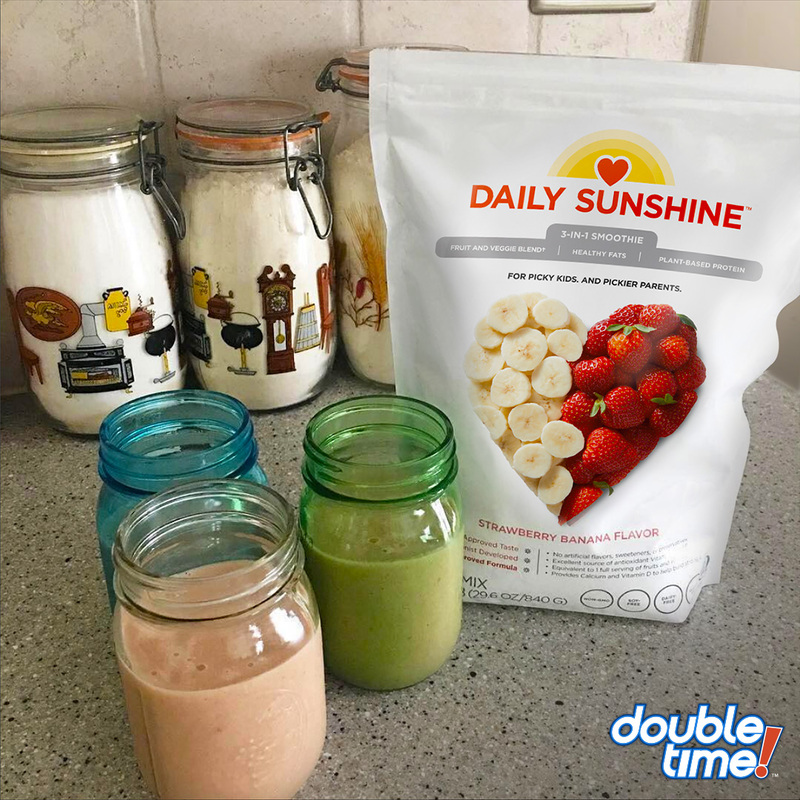 If you’re doing Double Time with one of your kids and need a quick, healthy snack for them (that they’ll actually eat) I recommend Daily Sunshine. It’s a super-yummy whole-food-based 3-in-1 smoothie made with a fruit and veggie blend, plant protein, and healthy fats and it’s a really easy way to help your kids get some of those extra nutrients they’re probably missing. Best of all, its formula is pediatrician-approved! By now, you’ve probably picked your partner. But have you decided WHEN you’re going to work out together? Determining your daily workout times for the next 30 days is crucial to your success with Double Time. I know this can be challenging (especially if you and your partner are on completely different schedules🗓) but trust me: schedule your workouts out now. You don’t have to exercise at the same time each day. Just make sure you add the workout times to your calendars, and commit to that schedule come Day 1. That way, you both will be more likely to stick with the program and reach your goals 🙌. 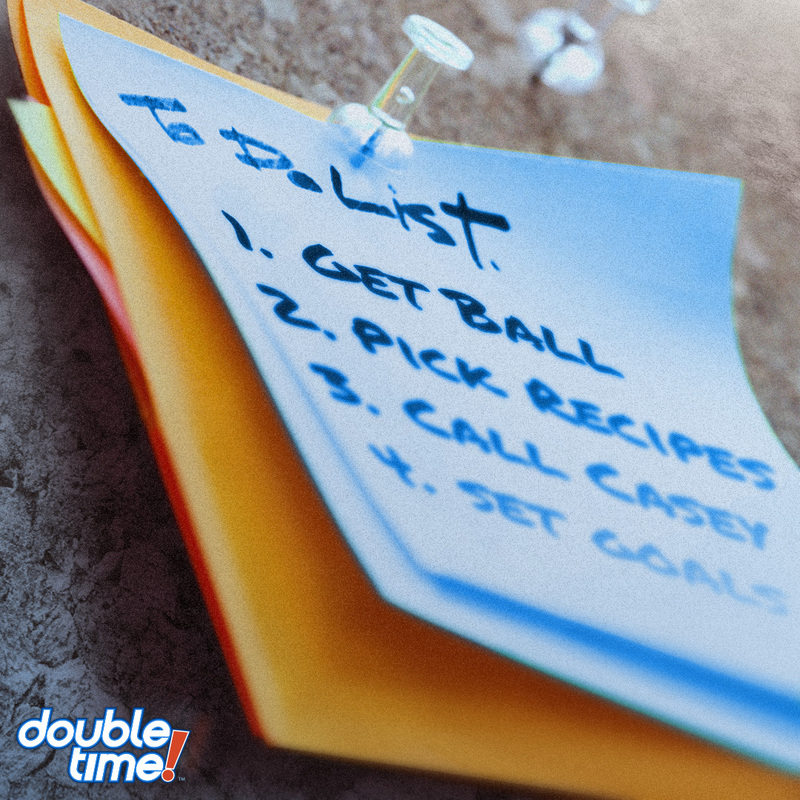 Speaking of goals, have you set them yet? You and your partner don’t need to have the exact same goals, but having a few similar ones can help you stay motivated for the full 30 days. Maybe you both want to eat more vegetables, become 365ers, or maybe you want to establish a consistent workout routine. Whatever your goals are, set at least a few before we officially start the challenge. Are you excited? We start DAY 1 TOMORROW. This is the beginning of you and your partner’s commitment to a healthier life. Get ready for 30 days full of workouts, healthy eating, and FUN! Pick your partner. Could be your spouse, a friend, or one of your kids! Log in and check out Beachbody On Demand. Start drinking Shakeology daily (or Daily Sunshine for the kiddos). Have a soccer ball-sized ball handy—either the Beachbody Buddy Ball or another type. Set goals for the 30-day challenge. Map out a few Double Time-approved recipes you want to try for Week 1 and shop for the ingredients. Also, if you want to see your progress over the course of the program, take your “before” photos and measurements. However, keep in mind there are other awesome non-scale victories worth celebrating…like better-fitting clothes, more energy, or being stronger! You’re ready. 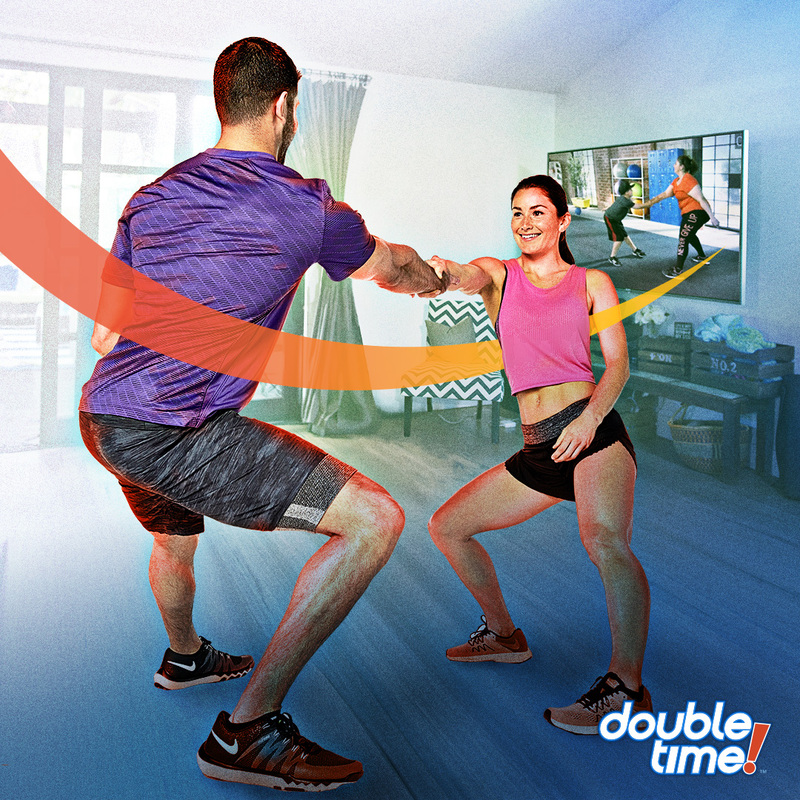 It’s time to grab your partner and ball, and hit the play button for your first workout, “Game On!” This cardio routine is a total blast and it’ll help you build endurance while you and your partner learn how to work together. Now let’s do this! 👊 But before you start, watch this message from Tony. Coach Tip: You can share this video via a YouTube link—https://youtu.be/4zbNSO1CRyY—or directly from the Coach Office—https://coach.teambeachbody.com/double-time-challenge-group-guide-videos. 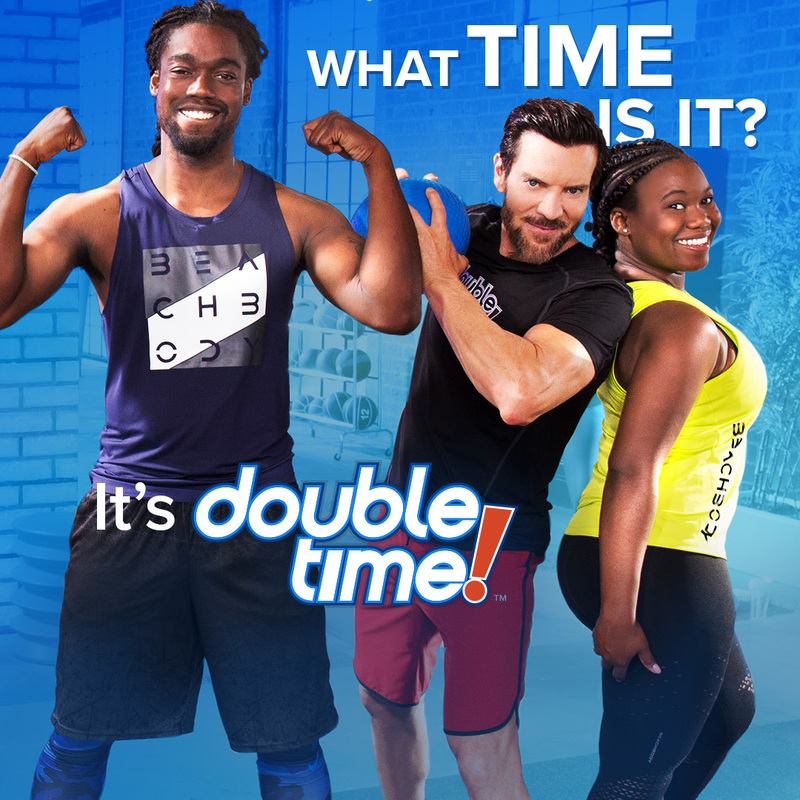 For Tony's and Christian's Double Time Day 1 message to kids, you can share via a YouTube link—https://youtu.be/qBOeaCBncFw—or from the Coach Office—https://coach.teambeachbody.com/double-time-challenge-group-guide-videos. 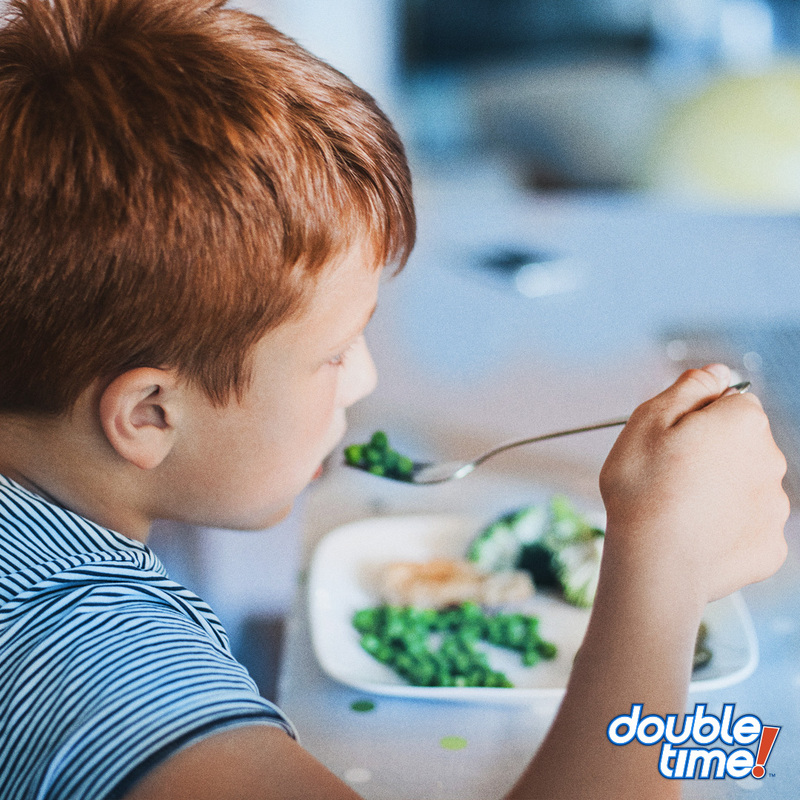 Are you following the Double Time Eating Guide? If you’re new to eating healthy, it’s okay to start slow with the tips in the front of the guide. Focus on introducing one new healthy habit every few days, like eating a serving of veggies with every meal and drinking Shakeology (or Daily Sunshine) every day! Just make sure you’re being mindful of what you eat so you’re properly fueled for your workouts. TIP: You can also access your Eating Guide on Beachbody On Demand at any time! Form is key to getting a great workout! If you’re unsure of how to do a move, watch Tony demonstrate it before jumping in. If you’re still struggling, hit me up here and I’ll do my best to help you nail it. And don’t be afraid to modify! Beachbody On Demand has an awesome modifier feature which shows you how to do the moves at a lower intensity. You and your partner can each work at your own pace. So you can modify while they go all out and vice versa! 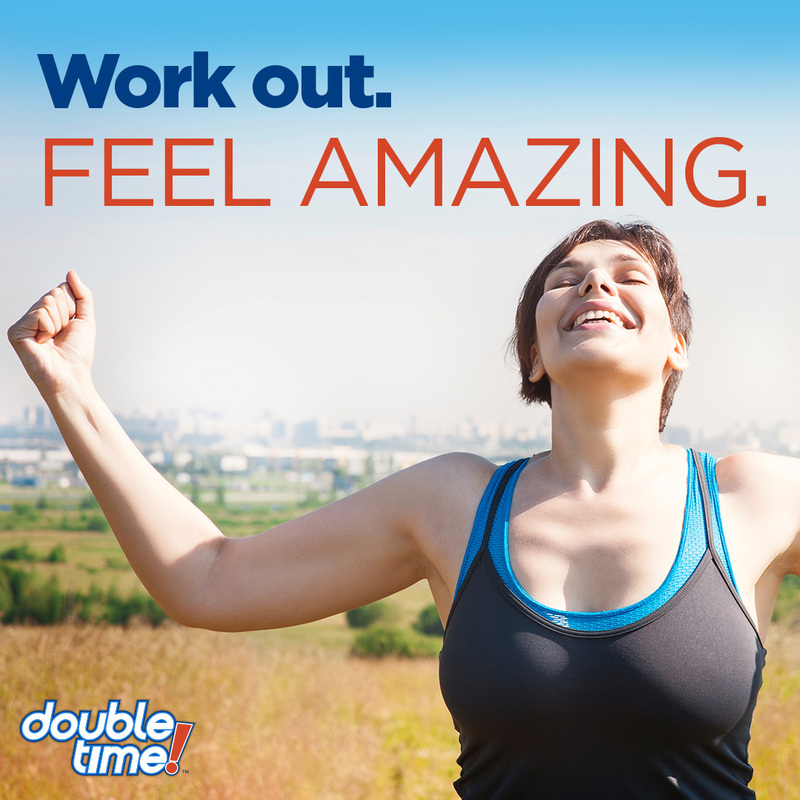 By now you’ve noticed that Double Time is a little different from other workouts. You could do any workout next to a partner, but with Double Time you’re actually working together as a TEAM. You motivate each other to work harder and stick with it. That’s what makes this program so effective and that’s how you’re going to build a solid foundation for a healthier life. Now, what time is it? 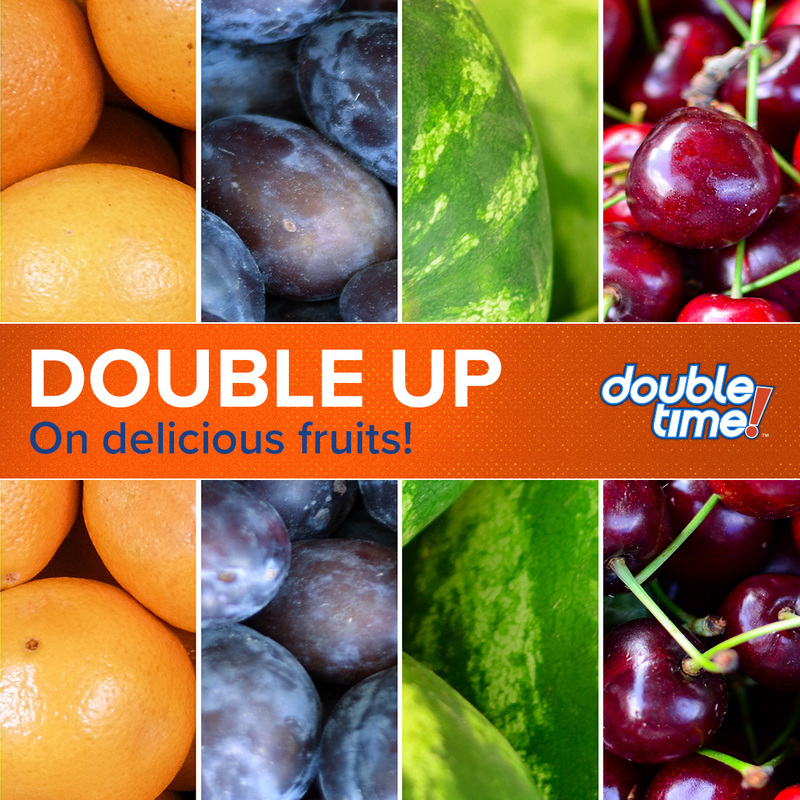 It’s Double Time! You made it to Day 4. Keep up the great work, everyone! Coach Tip: Recognize the effort of someone in your group either through high engagement, positive attitude, or great support-building. For those of you following the Double Time Weight-Loss Plan...how’s it going so far? If you’re feeling like you can’t give 100% during your workouts or you’re still hungry after eating all your meals, try throwing an extra protein portion in your breakfasts. If that doesn’t work you might need to move up to another calorie bracket. Let me know if you’re having trouble and I’ll try to help you out! You can also check out BeachbodyExpertAdvice.com for all things nutrition. Tony’s go-to recipe is Vegan Vanilla with almond milk and blueberries. As for me, I’m into [INSERT YOUR GO-TO RECIPE]. But really the options are endless. 👋 Raise your hand if your kids LOVE Daily Sunshine! 🎉WOO-HOO! YOU FINISHED WEEK 1.🎉 And guess what!? Today is a rest day. Enjoy it! You deserve it. How are you feeling so far with the program? Share one thing that’s been challenging and something you’ve enjoyed. Coach Tip: Share your experience/feelings during the first week of Double Time to encourage your group members to open up. 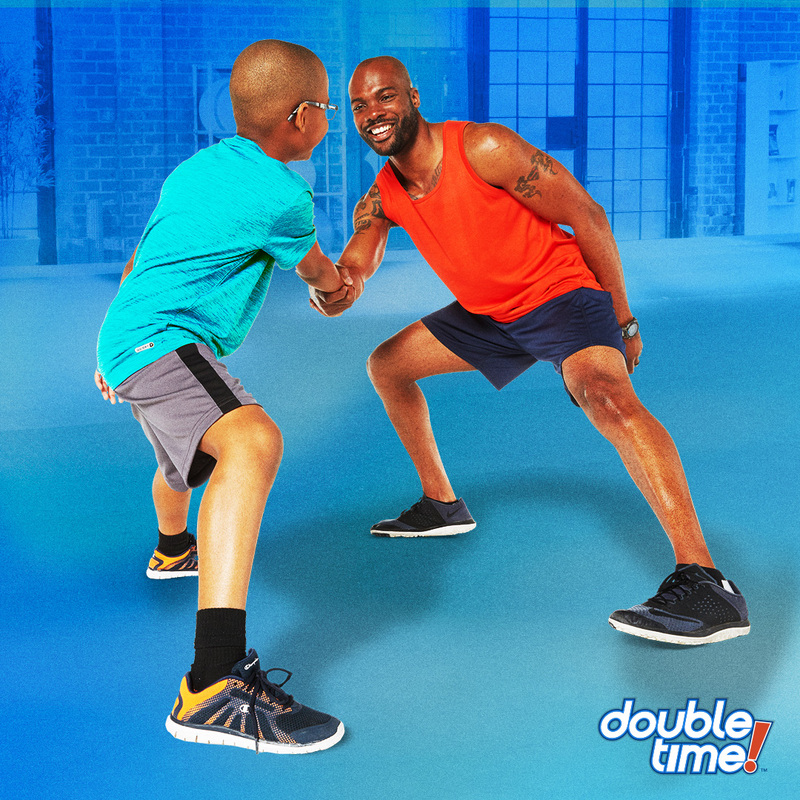 Example: I was struggling during my first time with Game On!, but by Day 5 I was having a blast challenging my workout partner and laughing the entire time. You're going to push a little harder with 35-minute workouts each day. Plus, you're going to consume more protein while cutting back on starchy carbs. You’re killing it with the workouts but how’s your nutrition? At this point, you might be missing some of your favorite sweet treats. Totally normal. It takes time to build healthy habits but here are some tricks I have to satisfy my sweet tooth. 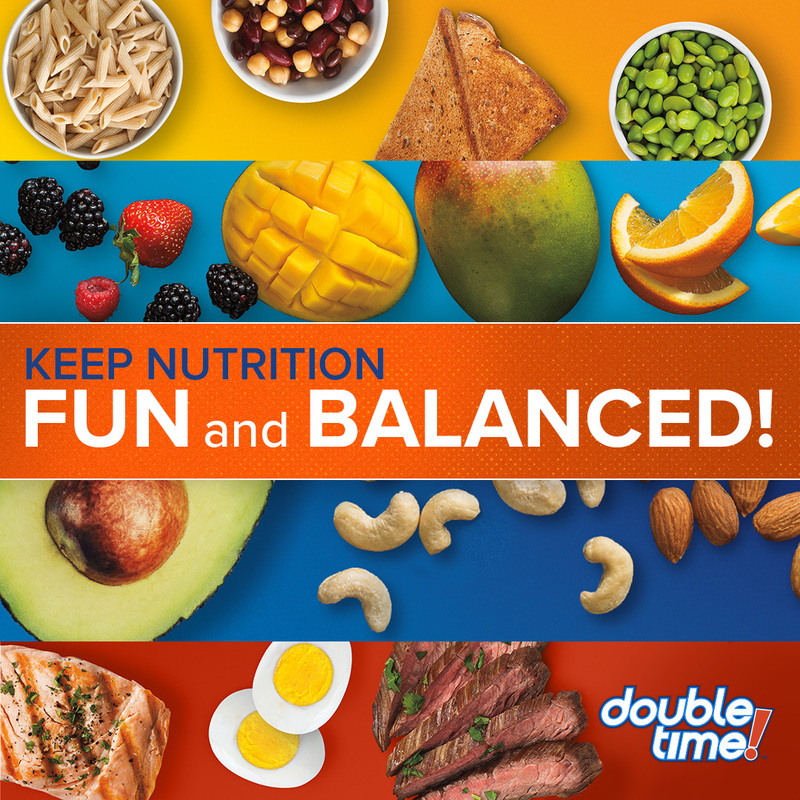 Coach Tip: Share some healthy dessert ideas of your own or pull some recipes from FIXATE or the Double Time Fun Family Recipes guide on Beachbody On Demand. 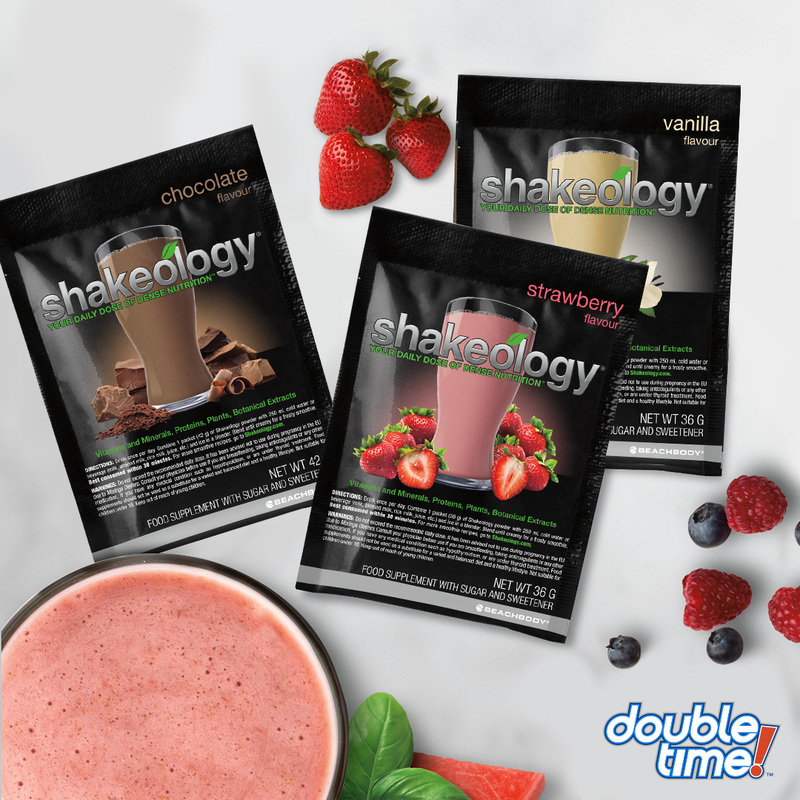 Of course, Shakeology is always a quick and delicious treat that also helps fuel my body with the nutrients I need. Here are some ways I spice up my shakes! 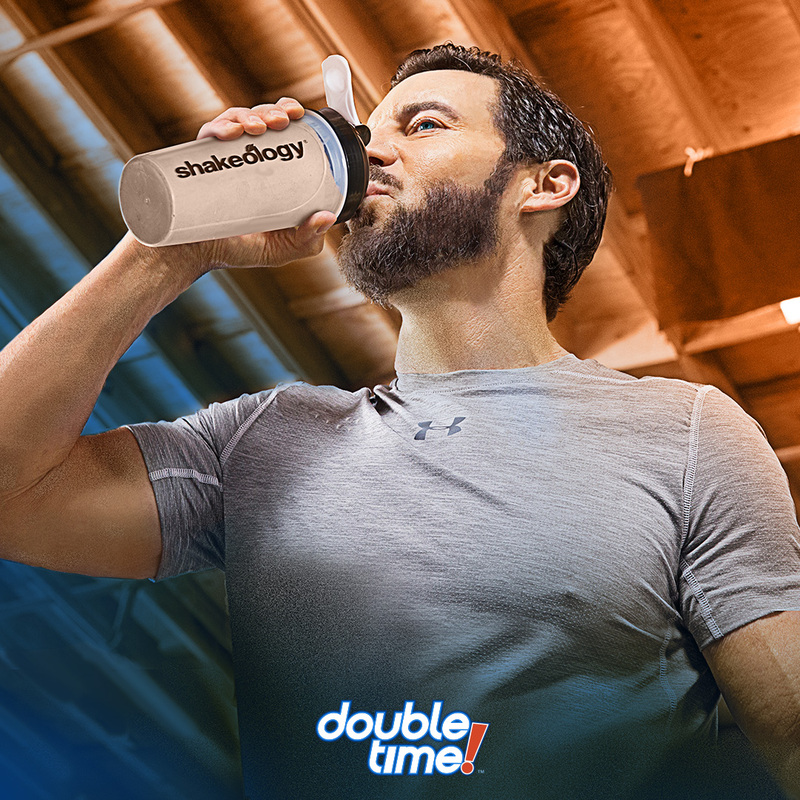 Coach Tip: Share some Shakeology recipes or ingredients you like to use in your shakes. Like I said yesterday, staying consistent with your workouts can be tough. That’s why Beachbody On Demand has been a lifesaver for me. It helps me stick with my fitness program by letting me access my workouts and get it done—no matter where I am! Instead of doing my Double Time workouts at home, my partner and I have used it to meet up at [INSERT LOCATION I.E., THE PARK]. Have you guys taken your workouts anywhere yet? Where is the most unconventional place you’ve exercised? It’s your rest day, but that doesn’t mean you should sit on the couch. Get up and MOVE! 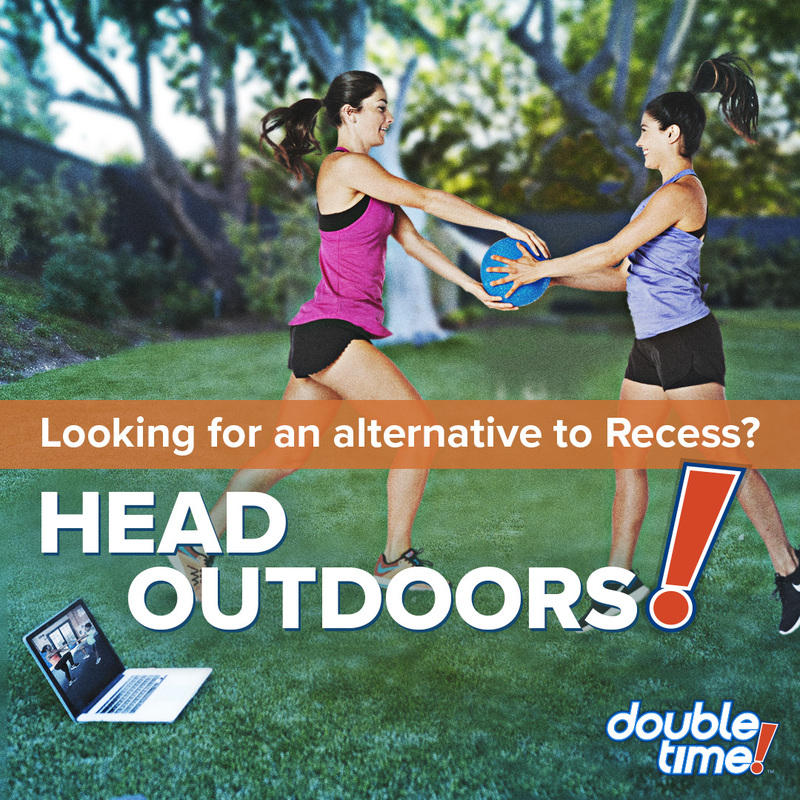 🏃 It’s an awesome day to do the Recess workout with your partner if you missed your chance yesterday. Recess is optional, but it’s a quick, active recovery routine that’ll help you loosen up and improve flexibility. This week we start doing double workouts. 🙊 I know, I know but YOU’VE GOT THIS! Pace yourself and push pause or modify anytime you feel like your form is suffering. You can jump back in whenever you’re ready. 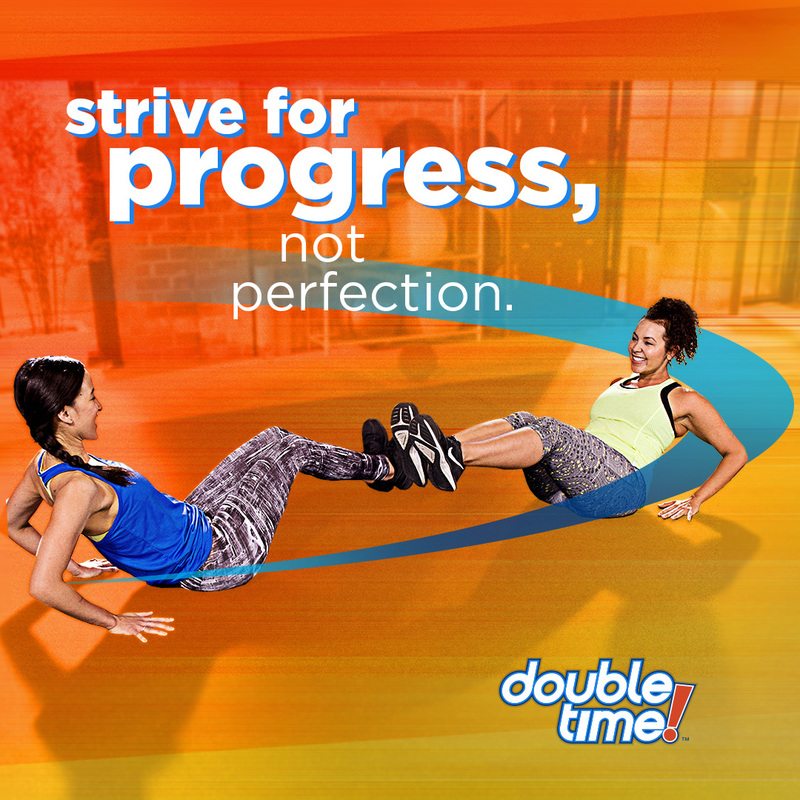 When you’ve done the two workouts, share how you and your partner did in the comments! Ever wonder what inspired Tony to create Double Time? It all started with the idea that “home is where the health is.” We spend enough time binge-watching TV or mindlessly checking our phones (I’m SO guilty of this 😳). But Double Time is less watching, more doing. It’s about encouraging everyone around you—like your spouse, your friends, or even the participants in this Challenge Group—to be more active, eat better, and share a healthier lifestyle TOGETHER. 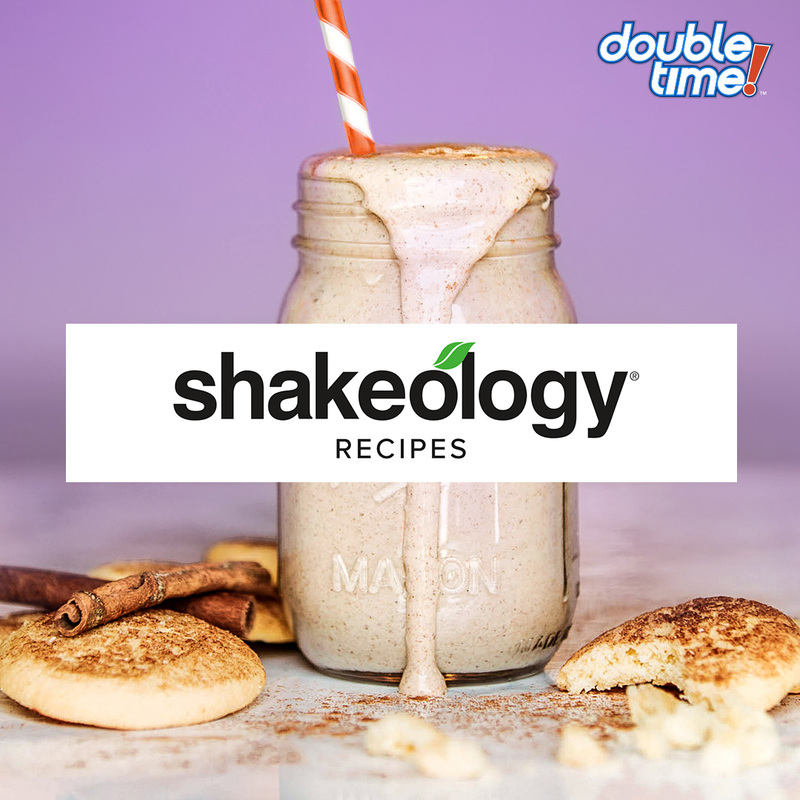 My tried-and-true Shakeology recipe is [INSERT YOUR GO-TO RECIPE]. But I’m thinking of mixing it up… who in here has a mouthwatering Shakeology recipe they’d like to share? Post it in the comments below! Alright, you’ve had a taste of all the workouts so far. Tony’s so good at keeping each workout exciting and fresh! I especially love [INSERT ONE OF DOUBLE TIME'S WORKOUTS HERE]. Double Time is a 30-day program so every day counts. In fact, you’ll want to stay moving…even on your rest days. By now you’ve done Recess a few times, so if you want to mix it up, try going for a hike or just take a long walk around the neighborhood. Or if you’re up for it, download a workout on Beachbody On Demand and stream it at the park, at the beach…wherever! Don’t overdo it though. A yoga workout from the Beachbody Yoga Studio would be an awesome recovery routine for a rest day. Coach Tip: Feel free to replace the Beachbody Yoga Studio workout suggestion with another Beachbody workout you may prefer. What do you have planned for your rest day? Daily Sunshine isn’t just for kids. Yep. That 3-in-1 smoothie is just as good for grown-ups too. 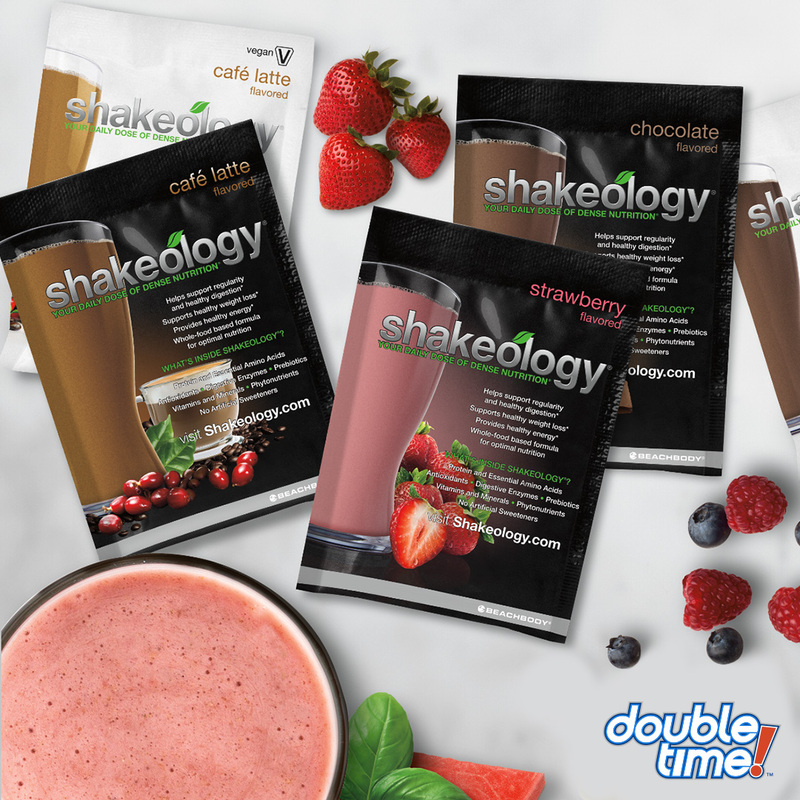 Recently, I’ve been drinking Shakeology in the morning and the Strawberry Banana Daily Sunshine as a snack in the afternoon. With its balanced blend of fruits and veggies, plant-based protein, and healthy fats, it’s the perfect afternoon snack (oh, did I mention it’s only 120 calories?). I love that you can literally just throw it in a shaker cup with water. It’s so convenient when I need something fast to take with me on-the-go. So how about you guys…have any of you tried it yet? Can I just say that I LOVE this group! You all are so inspiring. From [NAME] who always [DESCRIBE SOMETHING THIS PERSON HAS BEEN GREAT AT FOR THE PAST 30 DAYS] to [NAME] who [DESCRIBE SOMETHING THIS PERSON HAS BEEN GREAT AT FOR THE PAST 30 DAYS], all of you have come so far and motivated each other to be better! Thanks for letting me be a part of it. We are closing in on the finish line. 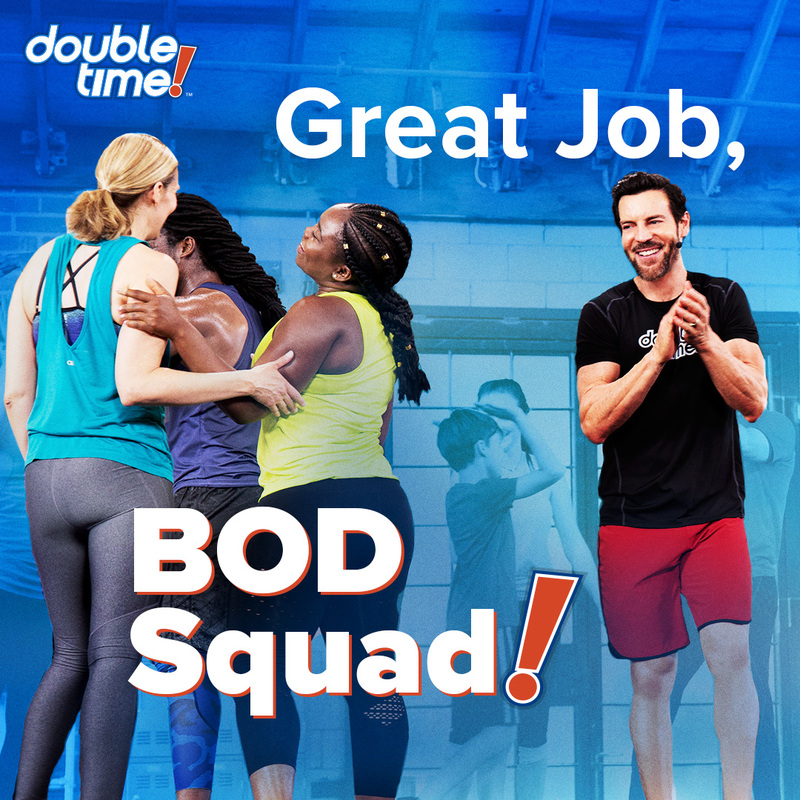 Let’s crush today’s workout…BOD SQUAD! After today, you only have to do it once more before we’re done. Crazy, right? We’ve got 5 more days to go. But I’m sure some of you are thinking…what’s next? Well, there are TONS of programs and workouts on Beachbody On Demand. 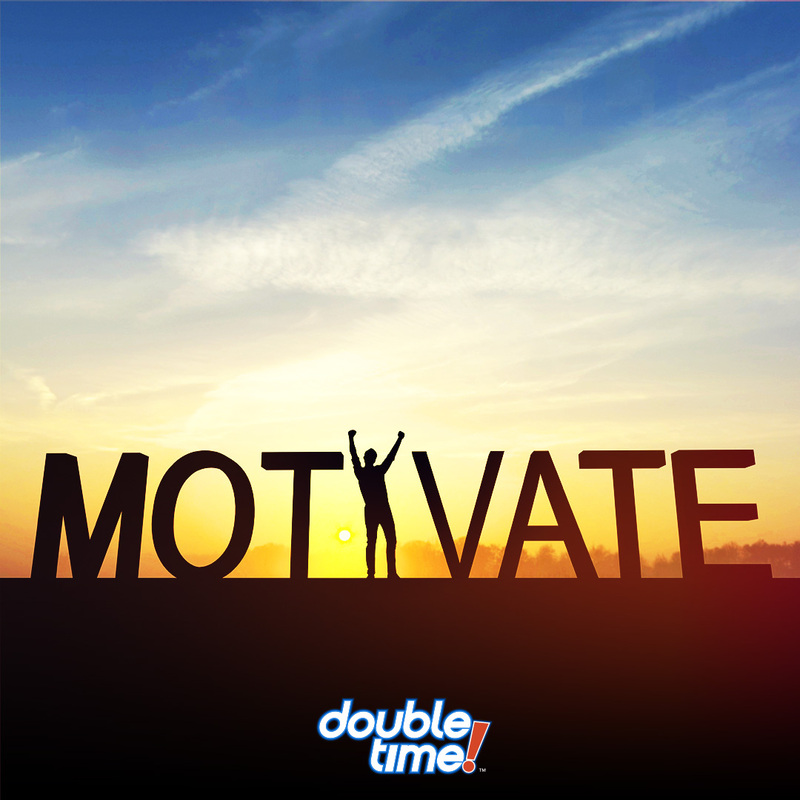 If you’ve got some goals you want to try and reach after you wrap up Double Time, share them in the comments and I’ll try to help you find a new program to take on! You know you make a good team when you and your partner can nail Lateral Squat Hoppers! What are some moves you’re doing now that you couldn’t do at the beginning? Do you and your partner have a favorite? Any tips for helping master certain moves? I want you all to pat yourself on the back and high five your partner. You’ve come a long way since Day 1! We’re in the last stretch of the program. 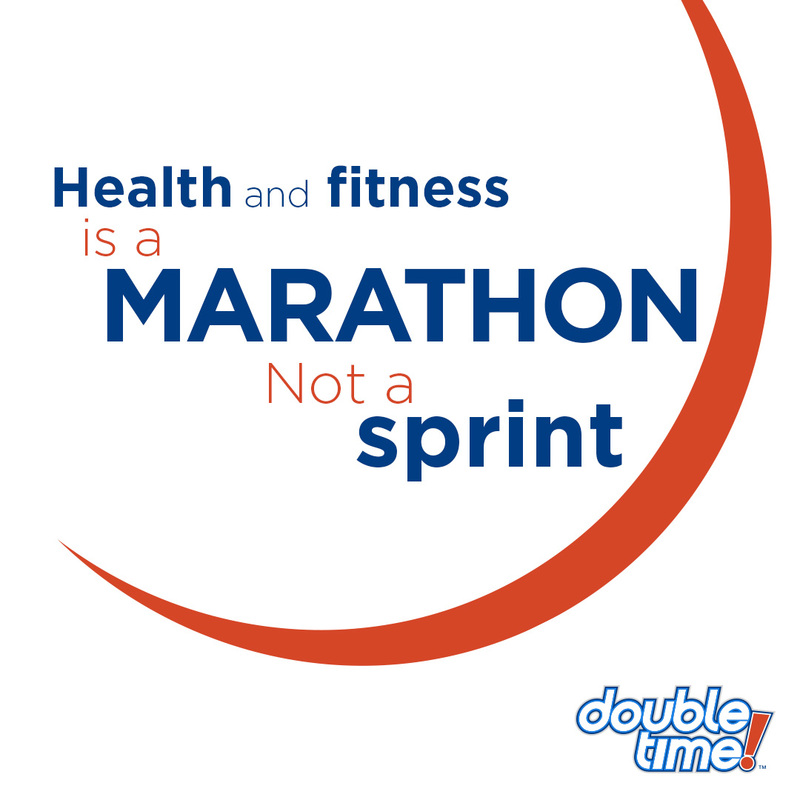 After today, you’re only 3 workouts away from completing Double Time! However, you and your partner have only just started on a lifetime journey of better fitness and nutrition. I hope that together you stay strong and motivate each other to lead healthier lives long after you’ve finished Double Time! Share a post-workout selfie of you and your partner! Coach Tip: Share your own sweaty selfie with your partner or a picture of both of you during the workout. You’re done with your last full week. But don’t bust out the treats just yet. 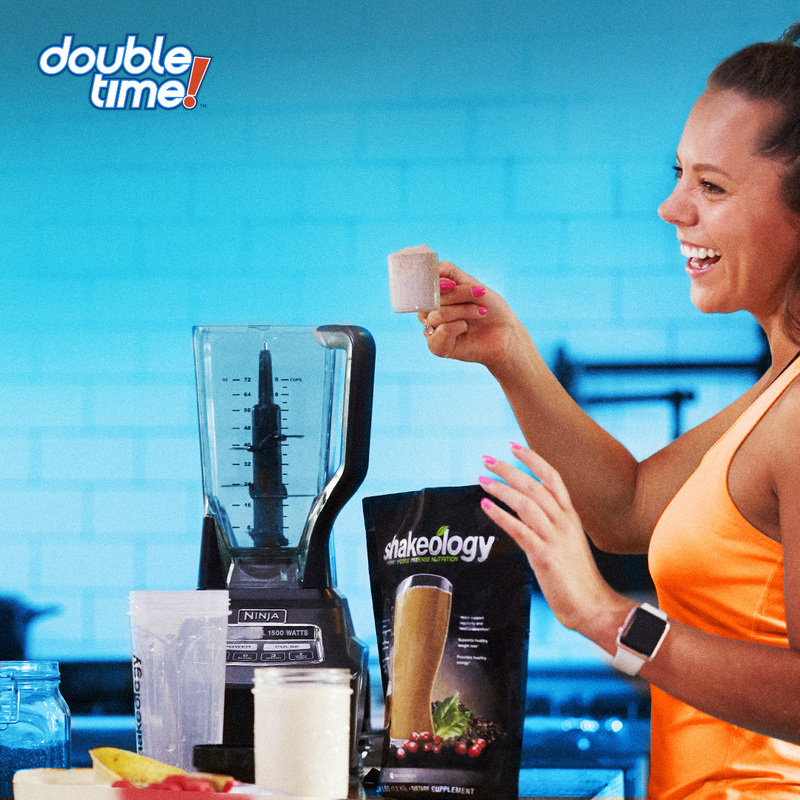 Make sure you continue to drink your Shakeology (or Daily Sunshine), and stick with your simple food rules from the Eating Guide or the portions in your Double Time Weight-Loss Plan. If you need a treat, try some [INSERT SEASONAL FRUIT]. It’s in season and especially delicious this time of year! This is it, folks. Whether you’re following the double workouts on the DVD calendar (Double Up + Abracadabra) or the single workout on BOD (Game On! ), stay focused. You’re THIS close to crossing the finish line! OMG...DAY 30. You’ve got one more workout and you’re done. Congrats on an amazing journey! I am so proud of you for sticking to this program and committing to a healthier lifestyle. Remember, this is just the beginning. I hope you and your Double Time partner have had so much fun, you’ve already scheduled another 30 days with Tony! 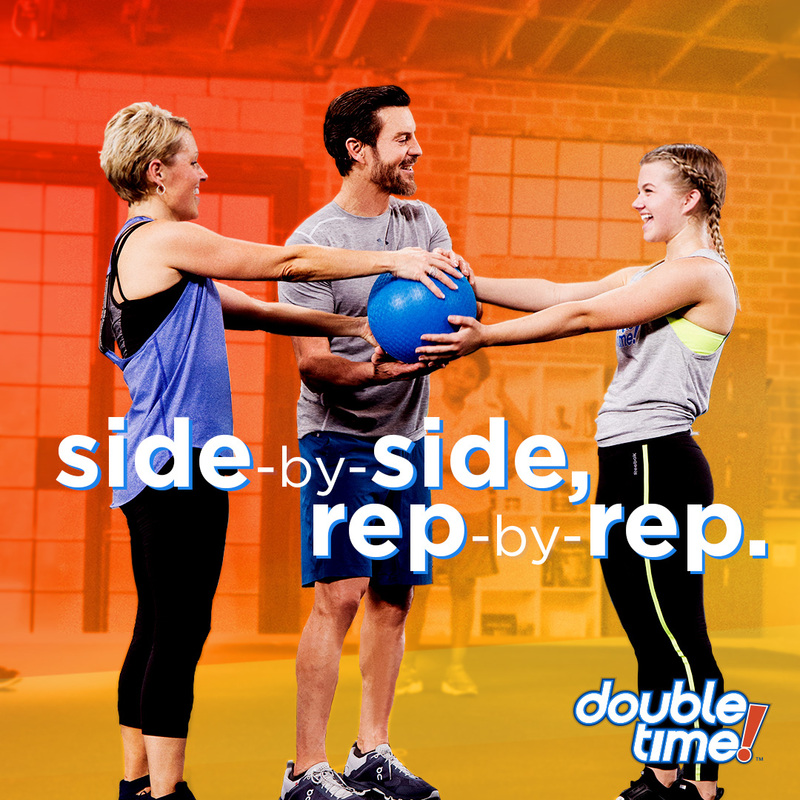 Or mix it up and try a few other workouts on Beachbody On Demand. Speaking of which, I’m starting another Double Time Challenge Group on [INSERT DAY] and would love you to join me. Just send me a message if you’re interested. I hope you had as much fun as I did! Thanks for joining! Coach Tip: You can share this video via a YouTube link—https://youtu.be/sSJWOOrH-58—or directly from the Coach Office—https://coach.teambeachbody.com/double-time-challenge-group-guide-videos. 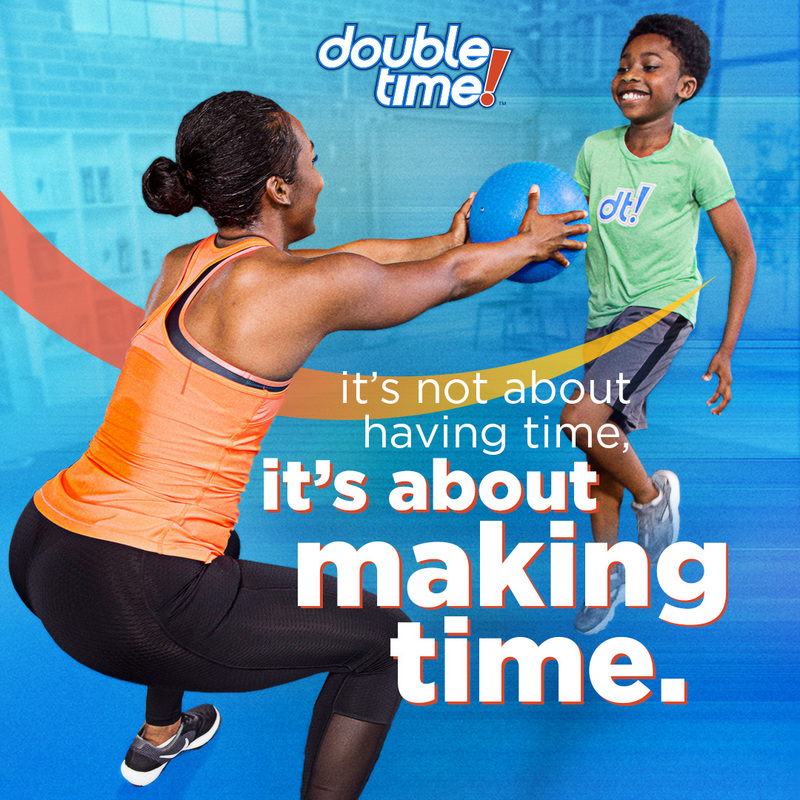 For Tony's and Christian's Double Time Day 30 message to kids, you can share via a YouTube link—https://youtu.be/tNAQkjvgzcI—or from the Coach Office—https://coach.teambeachbody.com/double-time-challenge-group-guide-videos. Donec sed odio dui. Nulla vitae elit libero, a pharetra augue.